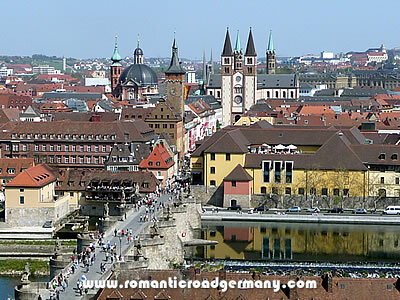 Würzburg is often where a visitor decides to start their tour of the Romantic Road route through southern Germany - and it is a fine introduction to the trip. The city itself is set in a beautiful hilly location on a river and possesses a wealth of history, as well playing host to a UNESCO World Heritage site in the Residence palace. It is also smack in the middle of one of Germany's biggest wine-producing areas and has superb connections to other parts of the country. Much of the history of the city centres around the Prince Bishops and their two main homes over the centuries: the Marienberg Fortress and the Residence Palace.